We want to grow with and for our customers and therefore we are always looking for the best candidates who can help us achieve this goal. Choose the job type which applies best to you and show us how you can make us stronger! 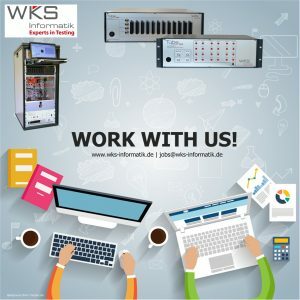 Can you LabVIEW, TestStand or VeriStand? Are you a C, C++, C# freak? 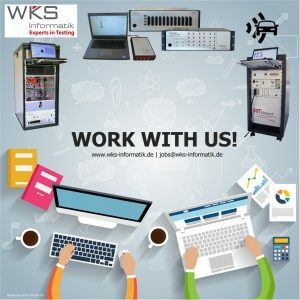 Can you model your Matlab skills? Do you SQL? Then you can round up our team of developers for automated testing systems and we can help you become even better! Oh, have we mentioned that NI Certifications are a huge plus? If you do not have one yet, we’ll help you achieve one! 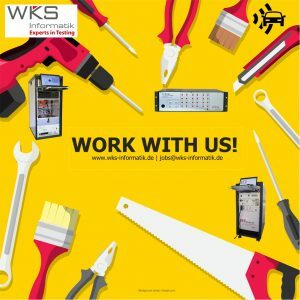 If you have (at least) basic LabVIEW knowledge, but want to learn more and be part of our team, then we have a task for you! You have a thesis topic concerning automated testing and you have (at least) basic LabVIEW knowledge? Then use the opportunity to work in a real testing environment and let us help you rock your thesis! Our open positions are not what you are looking for, but you think you can add value to our team? Contact us with an unsolicited application!